Random rants, praise, notes, poems, log on life, travels, music, et al. ...but there always is a free ride, atleast on campus. Post classes, investigations were afoot to determine the cause behind my furniture-less room. A quick word with the hostel in-charge later I was assured that there was no foul play and that the original room which was on the ground floor was reserved for physically handicapped students and that I was allotted a room on the first floor. Further investigations revealed that my room-mate had replaced the original lock, before heading home after admissions and would be back only a week later. I shifted in temporarily into the room opposite- 114, which thankfully still had not been robbed of its cot. Purchases to set up room- bucket, mug, mattress, washing powder, et al. made I settled in comfortably, deviously grinning to myself that the whole room was mine, when most others had 3 students in residence. The weekend ensued. I continued to wait for my room-mate. The following Tuesday, I returned as usual to the temp room at around 12:00AM (with little else to do in the room apart from stare out the window at the enshrouding darkness, the main campus with its attractions of a shopping complex, canteens, classes[but naturally], library and the venerated 'Gops'- the quintessential melting pot of food, conversation and general hang out on the campus [fossilised souls who have spent years on campus opine that with the departure of Gopal, the man who lent his name to the eponymous gathering spot, 'Gops' has lost its charm. Apologies! I stand corrected. Gopal still occupies the store, nevertheless the captivation eludes, I believe reminiscing always makes you yearn for the good ole days] necessitates that you return to 'the village' as late as you can) to find someone else had converted it into their permanent room. I also noticed that my allotted room was not locked up and a tube light streamed from below the door. Quickly having explained and clarified the situation with my new neighbours I shifted in officially into 113. They had packed my belongings in a haphazard manner into my bags and neatly rolled up my mattress, though the case of a missing towel still remains a mystery. I did not invoke the phrase popularised by Milton Freidman in vain. The prospect of walking 4.5km from the hostel to class and back again in the night with a good 3-4km stretch covered during the day in various short saunters around campus though a healthy option, especially for people of my slightly rotund disposition, can leave one tired and without energy for much else. The late night trek back in the fading moonlight is an ideal setting for some romance to flourish, but considering that the only residents in the direction of the south campus are men and largely sanitised international students, not to belittle my social skills (the first one week on campus was magically delightful thanks to Ms. T)I generally plod back in silent soliloquy. Unless of course you hitch your thumb out and wave an approaching vehicle down. Students generally halt be it on their bikes or bicycles. I generally do not bother the latter, though a couple of them have kindly offered to take me (though they offered to drop me only because they expected me to decline in the first place needs to verified). On one occasion the tables were turned quickly and I had to pitch in on the pedals while the offerer peacefully settled on the carrier. Official looking people, noticed by their smug faces, white shirt- unbuttoned at the chin till halfway down their gullet and strangely buttoned up at the cuffs can be a bothersome tribe. They do not slow down near you, but a few metres ahead of you and then make a strange gesticulation involving the left hand and head indicating they are not headed in your direction. There are exceptions to the rule though. Cars are a strict no-no on the hitch-hiking list. Ambulances can come in handy and one afternoon I was speedily transported from the village to the shop-comm on a stretcher, sitting, thankfully and not lying on it. Tractors too come handy, especially if it has a trailer attached. Ignore the mud and grime, but hang on for dear life when he takes the sharp turn to the right on the last gentle knoll leading to the village, light grips could land you on the road or even worse the stream running at its margins. For someone who has spent all his life so far at home, the campus offers wonders- unrestricted freedom topping that list of wonders. Biting into a shawarma at 3:30 AM while strains of Uday Bhawalkar's sonorous voice stream from the open doors of the auditorium- I haven't tasted a better shawarma so far. Walking shoulder to shoulder down the stairs of Mayuri Bar with autorickshaw drivers post a session of MC whiskey and Congress mixture and top that off with a healthy serving of beef biryani at Kalyani Restaurant (though not as enticingly juicy as the beef doled in Khazana, Johnson Market, Bangalore. )Washing clothes is a completely new feeling when you land at the room at 12AM to realise they have been soaking in the bucket below the cot since the previous night. The mess remains my greatest enemy on campus for serving highly proteinicious food, read as dal, dal and more dal. Meals is very simply rice, some dal curry which masquerades as sambhar and a rather decent rasam. The highlight of the meal is the chutney and small portion of vegetables which features on your plate. The loos reek a distinct smell of dal post meals, pungent and nasal-hair destroying- making you ponder on the digestive abilities of the fellow mess-mates. "Please sir, can I have some more?" will probably never feature on your thoughts during lunch or dinner. Facing a full day can be heartbreaking when one stuffs voluntarily a whole portion of a sour rice garnished with groundnuts and topped with an even sourer chutney for breakfast. And so on and so forth. A strange feeling of being disconnected arises though, specifically since I lack a laptop at the moment. The joys of trawling the net unrestricted, are to be postponed till I purchase a laptop and also till the LAN connections are open in the hostel. As of now I have seen trenches being dug to lay the lines, but given that its a central university, it might take a full semester or a year for the lines to become functional. For now I battle with slow ancient machines, waiting for five seconds before the full word which I type appears on screen. The battle is extended to students too during the day when it becomes impossible almost to sit down at a free system. I switch off most times when jargon erupts during conversations. The deconstruction of the post-modernist cognitive perspective of the moral and social fabric evidenced in 'biped featherless chicken'-and I would probably excuse myself feigning a crick in my left little toe that needs to be attended to at the earliest, with an equal earnestness to will a large object like a grand piano or Fort Knox safe falling on the said person or being slowly gnawed away by birds or better still ants while the person lies awake, witnessing himself being cleaned to the bone without the powers to shoo them away- ok that might be slightly over the top, but an academic atmosphere does not mean conversing in such rarefied language. Thankfully the people I have got know better over the last month don't fit into such categories. Higher stuff will eventually start spouting from me too, but right now I need to solidify my base in the social sciences. As the Deep Purple song goes the next two years will be to-"Listen, learn, read on". The last few months have been spent in preparations for a few entrance tests. Preparations have predominantly been reading, reading and more reading. Given the obvious part of reading up for tests the other half of the preparations should, also in retrospect, have been a liberal dose of writing-in long hand, the pen and paper variety. The prospect of writing continuously for three hours, ideas brimming one after the other, mentally making a note to include point (a) and then suddenly realising that I am already at point (e) made me wish I had an 'enter' button to add on a few lines of space. At other times while throwing a frantic line for the precise name of a treaty or date of an event, the ease with which one could Google it made me let out a low whimper akin to a dog unsuccessfully searching for a buried bone. After four years of not having done any serious writing on ruled exam paper, apart from general doodling during official meetings and a couple of notes to potential paramours (neither were too well received), those three hours on two separate occasions, on alternate days were seriously painful. There was a visible depression on the tips of the right thumb and the index finger and it required vigorous twirling and coaxing before any semblance of life returned to the numb digits. Reading on the other hand is more passive. Well not exactly if you are studying for an exam where it is required of you to read, understand and conceptualise it for later to tackle a question and derive a suitable answer which can lead you to a seat in a particular university. (At least that's the end of my recent bout of preparations.) It has been rather enjoyable given the style of some of the author's who I have been reading. Some are dead (literally too, bless their souls) in their approach to the subject as well as metaphors rendering the books unreadable. Which leads me to the internet. With its vast all encompassing web, it throws you such a wide variety of voices which makes reading exciting and at the same time enervating. Exciting because of the rich multimedia, the different schools of thought and style, the ability to cross-refer and the beauty of hyper-links and algorithmically generated related and relevant subjects. Suddenly you think, "Oh!I am so enlightened now." There is so much information I have gathered, which is when the enervation sets in. The information glut begins to sap you. Most times with hyperlinks et al, I have atleast 10 tabs open varying from currently an article on how urban sculptures can clean the air we breathe to the death of publishing. I haven't read them in detail still. I hope to soon as I finish posting this. At the same time Echofon pops Twitter updates from the hundred odd users I follow. Most of my reading on the net is now highly based on recommendations or links which these users post on my time-line. With selective following it gives me a veritable smorgasbord of all the required reading for the day. In the time I started writing out this post forty tweets have appeared, ten of which have links with what I deem necessary reading. And so the process continues, with many more tabs opened until I end up a nervous wreck battling between a need for the next fix of information and almost drowning in a digital deluge. Until I find a quick fix solution- the 'power off' switch and curl up on bed with a peeling, musty smelling paperback. Or even better an Indrajal comic inherited from my father. 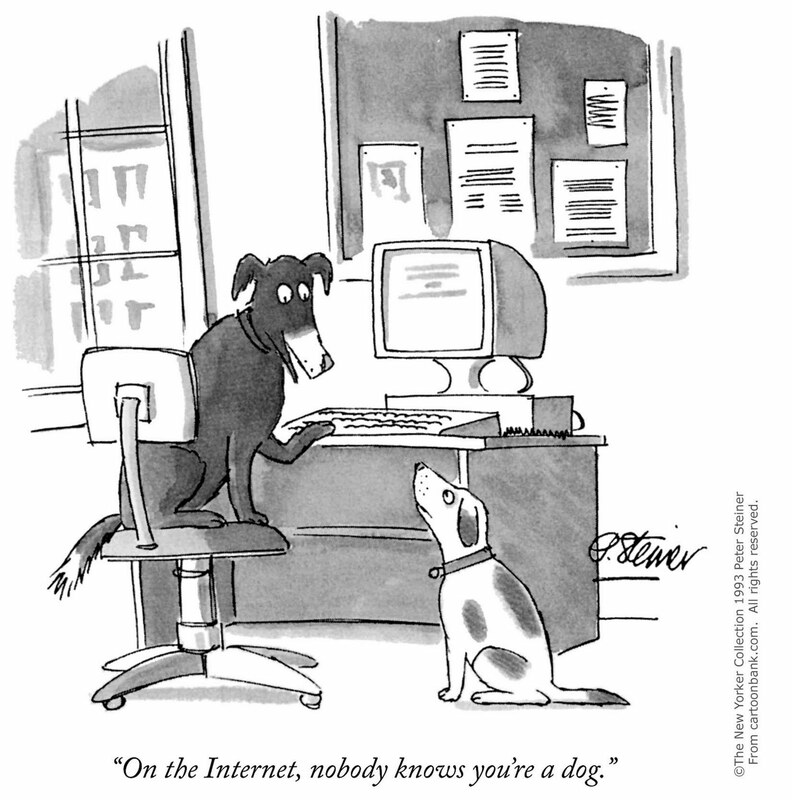 The web has certainly changed the way people read and write and most definitely the way we analyse information. Like contemplating to swap the newspaper for his Twitter stream on the pot. Potty pips apart, it gives a better platform to connect both readers as well as writers. It also gives you complete freedom on what you want to state. Feedback comes almost instantaneously. And the best part- its in the public domain, making the net easily the most democratising factor in today's society. Technology and the net empowers people. It also gives a renewed coat of strength to Francis Bacon's signature- "Scientia potentia est"- "For also knowledge itself is power". P.S.- Continuing on the hyperlinked reading style that most above average internet users have adopted, I forgot to mention about the Google Reader. Half day of neglect and the stuff you think has to be read, clogs the whole system up. Return from a holiday sans the internet and more than the pending inbox (now that I am unemployed it doesn't affect me much)the 'Unread' list on Reader gives me the jitters. The immense pleasure derived from marking unread to read is something else as Nitin Pai explains here. In case where the reading runs in lengths unfathomable for my level of reading interest at that moment I just Read It Later, whenever I find the time and the interest. With the continuously dropping attention spans most times its-Never. P.P.S.-On a slightly related note, I just don't seem to not stop hyper-linking up. Here is Robert Fisk on the death of 'deep reading' and the political power-media nexus. Image Credit- Peter Steiner via The New Yorker. The steaming puttu and kadala curry, pappadam powdered by hand into the mix, is decimated in a trice. Our first objective for the day is set- locate a retired merchant navy captain, K. U. Crispin, owner of the eponymous kettuvallom, the quintessential experience of the Vembanad. A short jaunt down the jetty and the canal snakes towards the big lake, women washing clothes and vessels on either side. A blind turn reveals the canal chock-o-block with kochu valloms- dwarf snake boats, some carry vegetables, others fish- a veritable gliding grocery shop and even others carry what was explained later to be sludge, apparently good for cementing houses; and a host of kettuvalloms in shapes, services and storeys that would suit budgets from us (read middle class) to former Prime Ministers of India. St.Crispin hides behind a huge double decker, Kottayam Kunchachchan eye-catchingly noticeable because of its enticing bar, an array of the best tipples on its upper deck display. Ret. Capt. Crispin (his parents and later him are ardent devotees of the saint, interestingly the saint had a twin brother, Crispinian and together are the patron saints cobblers, tanners and other members of the leather sub-culture) is counting crisp new 500 rupee notes as we board and the guests from the previous night bid him farewell. 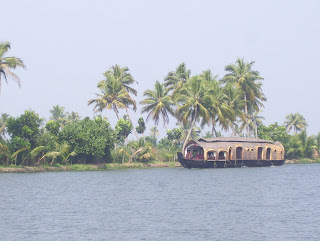 Having spent practically every summer vacation listening to the wind whispering in the coconut fronds, downing tender water from the nut by the dozens, gazing at green paddy fields and experiencing various other sensory soothing balm qualities in Kerala; we weren't enthused by the idea of doing the same by day and night atop a kettuvallom. Besides, a 24 cruise, a majority of it anchored in the middle of the Vembanad, the authorities prohibit kettuvalloms from plying the waters from early evening to just after dawn, would have set us back clean by 15,000 Indian monies. A chat on how he set sail on the kayal in late 2008 after having seen enough of the high seas later he heads home for a short nap before his next ‘full day-night’ cruiser couple arrive, leaving us in the company of the affable Sunil, the pilot; Rahul, the deck hand and an Old Man Mozz-esque achchayan (my fading memory is responsible for not remembering his name) who runs the kitchen on board St.Crispin. 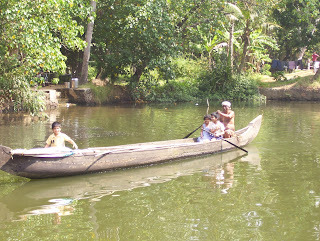 Guided by poles in the safe hands of Old Man Mozz and Rahul and gentle coaxing of the brand new Yamaha engine we putter past other kettuvalloms getting readied for their next batch of occupants. At the meeting point with the outer reaches of the Vembanad where the canal ends many a local youth and a couple of septuagenarians stand on the concrete pier awaiting their dose of eye feasting on the bare white skins of phoren madamas. Our feasting (a precursor to the spread being prepared at our heritage home-Tharavadu) begins with a bunch of poovan pazham. Sunil who hails from near-by Vechoor soon takes us past the waterfronts of the 5 star and boutique variety hotels with snazzy jacuzzis that overlook the banks of the Vembanad. While a lone electric blue kingfisher flits across the surface, successfully having mouthed his lunch, Sunil explains how the kettuvallom industry is only close to two decades old. 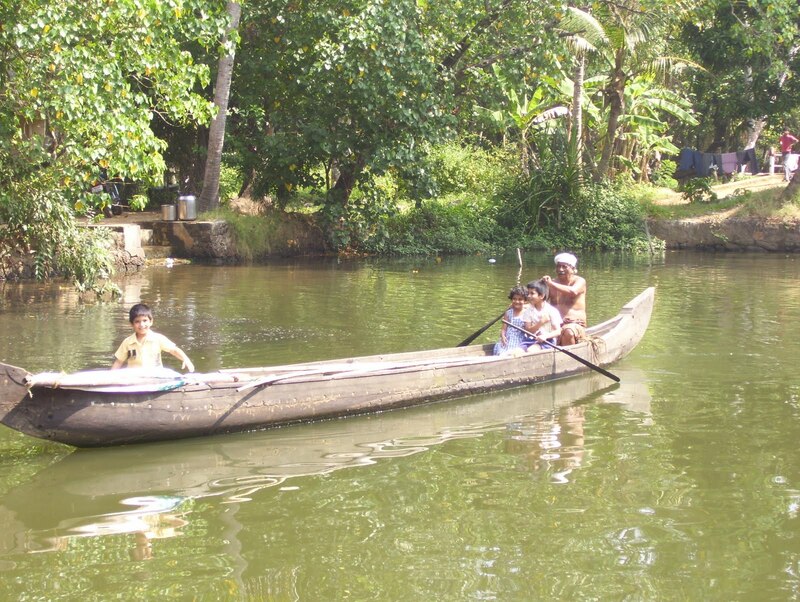 With the road connections to the three bordering districts- Alappuzha, Ernakulam and Kottayam, improving drastically during the 80’s and early 90’s it became uneconomical to ply boats, leaving the boat-owners to either move out to the coast to take up fishing or change their lines of business. An enterprising few however decided to redesign their boats to look like mansions on water and welcome the cash rich tourist to the veritable experience of the Vembanad. We pass vast paddy fields which are actually below the level of the kayal, which is at sea level, and need to be pumped out during seasons of plenty to avoid the crops from getting damaged. 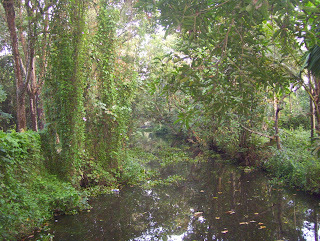 Infact a majority of the fields were reclaimed from the kayal. Sunil’s free hand cuts an arc into the horizon to demarcate one of the richest achchayan’s (name escapes me again) fields. Like most other rich agriculturalists he too escaped much of the wrath of EMS and his Communist brethren during the Land Ceiling days of yore aided by his vast siblings, cousins and other blood brothers. He even had a church built bang in the middle of a field, so that his labourers could get back to work immediately after service! Vembanad, herself is an undulating, sheer glazy green, dotted with hyacinth and the occasional vallam in any direction the eyes gaze. At some point, having lost ourselves in our thoughts of the emerald expanse below, we realise we are floating back on the canal that leads to the municipal boat jetty. Our appetites perky, we head to Tharavadu, in the process passing by what the locals call “Pambu”- a drunk, splayed on the ground, occasionally attempting serpentine movement in the direction of his home or ultimate destination- in all probability the next TASMAC parlour. Kerala has the highest incidence of alcoholism anywhere in India; the papers carried an article the next day of how Chalakkudy district topped its previous record of drunken revelry on Christmas Eve, a record it apparently breaks annually. 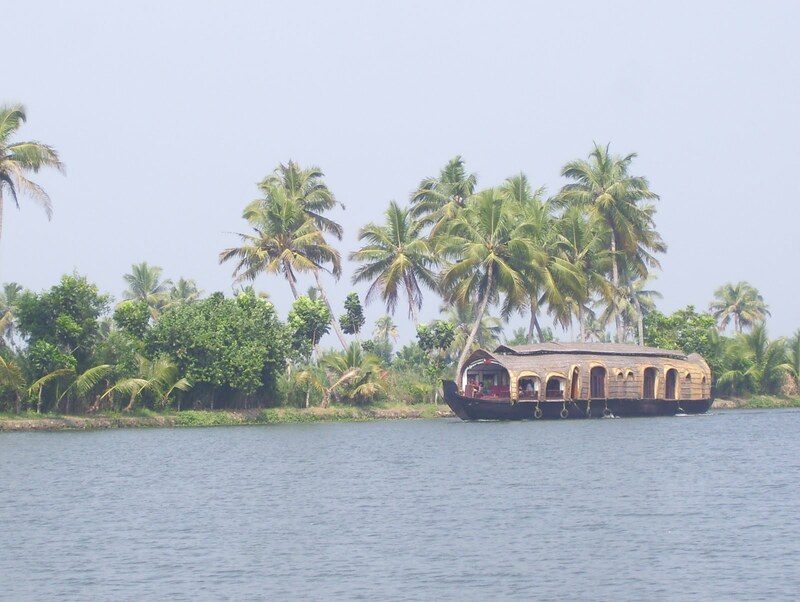 On the spur of the moment we decide to lunch in Alappuzha and then explore the place. 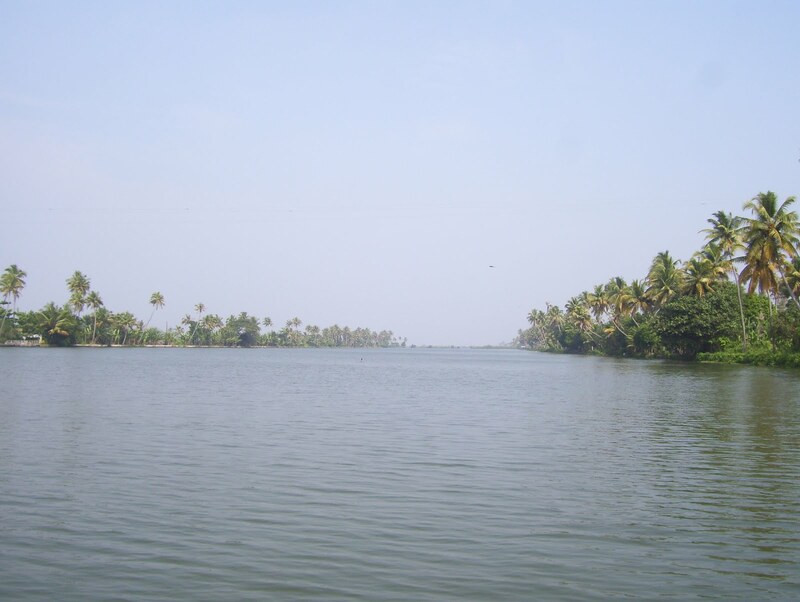 The road curves over tiny canals, the bigger ones away from the town have a few kettuvalloms ready to head out into the kayal and then we pass over the immense Thanneermukkom salt water barrier, which prevents the salt water from entering into the Kuttanad lowlands. The divide is clear- brackish sea water on one side, in clear contrast to the clean jade of the river-fed Vembanad. Alappuzha, after the serene Kumarakom, is a hot and overcrowded town built around canals, which are mostly covered in water hyacinth. Though we didn’t have much time to explore the Venice of the East, (it being half past three by the time we drove into Alappuzha) we hurriedly down a rather late lunch comprising of toast, scrambled eggs, cutlets and cold coffee at the Indian Coffee House opposite the Beach. A mandatory photo session among the sand and waves later we are headed towards Ambalappuzha, famed for its Krishna Temple and more interestingly for me the prasadam offered- the famous paal-payasam. Legend has it that Krishna himself, in the guise of a sage, challenged the king of the land to a game of chess. The prize the king had to pay if defeated was ‘a few grains’ of rice which was to be laid on the chess board in a particular order- one grain on the first square, two on the second, four on the third, and so forth with each square adding grain worth twice the previous square. The king readily agreed and unsurprisingly lost. On realising the geometric progression involved in the scheme of the prize, the king panicked, naturally, considering the final figure would empty not only his but his neighbour’s granaries many times over. The ever-pardoning Krishna reveals his true form and in probably the first case of a financial reconciliation- agrees to aid the king with an installment scheme; viz. a promise to serve paal-payasam to devotees daily till the debt is paid-off. Presumably the debt was paid off by the time we reached there, for we did not receive any. It was indeed, since it is apparently dished out only in the mornings. Being wary of temples apart from the architecture, myth and history behind them the only thing that interested me was the mizhavu used by Kunjan Nambiar, the satirist poet who invented and popularised thulllal. The sun was lowering itself into the western horizon, setting the sky ablaze as we approached the banks of the lake Punnamada. Our object of interest: the centuries old black granite statue or at least the half that remains of the Buddha. Karumadikuttan as he is locally known is covered by a small concrete stupa and a pathway leads away from the stupa to the banks, across which lie what in the late evening sunlight look like fields of gold. Buddhism was a prominent religion in Kerala circa 200 B.C. to 800 A.D. until the revival of Hinduism under renewed royal patronage. Why exactly was only one half shorn of the statue remains a question as we drive back to Kumarakom. As promised earlier in the day a feast awaits us at Tharavadu. Raw rice, a spicy sambar liberally filled with the delicious small onions, a carrot-beans-cabbage thoran (finely diced vegetables stir fried with grated coconut and assorted spices), the ubiquitous yet meal completing flared pappadam, avial, a beetroot pachchidi (again grated coconut plays an important role with thin strips of beetroot curried in curd) and the protagonist in the symphony being played out on the table- karimeen pollichathu, a double my palm sized roasted pearl spot fish brought straight out of the kayal earlier in the day onto my plate in a banana leaf. Feasting complete, there is little else to do but reflect on the true nature of happiness (something which I was experiencing contentedly at that precise moment) on the bamboo chairs of the portico outside our room. A late onset of mosquitoes, aided by general lethargy prompts us to vacate the chairs and seek the comfort of the bed. We were advised the previous evening to be ready by early morning for a walk at the bird sanctuary adjacent to the Taj Garden Retreat. Considering the heavy meal hanging in our digestive systems it took a while before we threw off the final vestiges of drowsiness and bought our tickets for the walk. Enveloped in an incessant chirping of crickets and other insects we were warned of not sighting much since it was not the breeding season. Our twitching antennas raised we kept a keen look out for any sight of feathers and beaks. 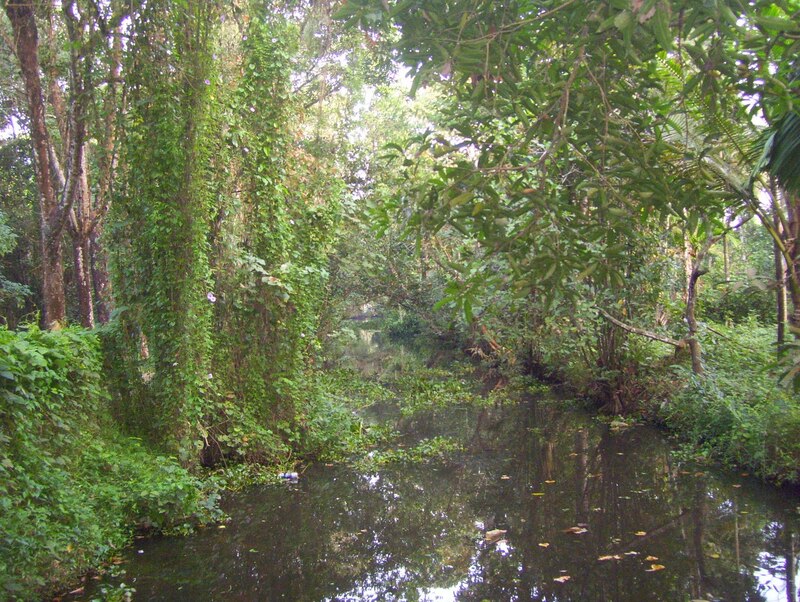 Instead, we cut across a thick copse of tropical trees and bushes with overhanging creepers and bridges over shallow pools looking much like what Ophelia could have drowned in. After covering the circuitous path we encountered- two cormorants, a muster of storks on the far end of the Vembanad which bordered the sanctuary and three men in kurta-pajamas out for their morning constitutional. After sufficiently fortifying our cells with some fluffy palappams and coconut milk it is time to settle dues and be headed out. 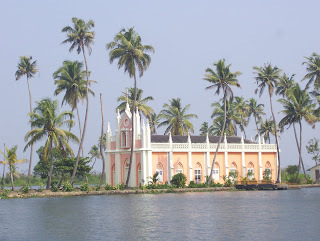 We pass the Bay Island Driftwood Museum and decide to give it a miss due to time constraints to accommodate visits to the Vaikom Shiva Temple, the eye of the storm of the Vaikom Satyagraha of 1924-25; a host of relatives in Ernakulam and then onward to Trichur, our base-camp. A little box in a translucent black, white or grey with blank strips across its dual faces to fill in neat minute hand-writing is probably my earliest visual memory of music. (I remember my father's LP and EP collections, especially the broad and colourful covers, but that was something which was strictly out of bounds for inquisitive yet destructive toddlers) A black magnetic tape (with immense powers to attract one) hangs loosely between two spools. A light tap on the side to make sure there are no loose loops - a pen rotated around one of the spools to doubly make sure - locked into the safe cavernous desk of a National Panasonic mono-speaker - just push play. Scratchy sounds greet you as the ticker starts to count like a very slow slot machine minus the fruit pictures, before the music emanates and envelopes you. The National Panasonic was sold to my mother's tailor (it presumably still entertains him and his troupe) and a BPL Stereo came in. Later everyone was talking about the quality of sound and the experience of a CD and that was something we audiophiles cannot resist. So out went the black BPL with plain dual speakers and in came a silver hulky looking Philips with a CD/DVD and of course the cassette player. Over the last few years music has predominantly been of the downloaded variety which is played over the computer system or on the move on my phone. One reason - convenience,better sound quality and other technicalities apart - for the cassette player being ignored was the squeaky heads of the dual cassette desks that were running faulty or so we were led to believe by the local technician. Our repeated cleaning of the head unit with cotton and a tinge of after shave did not solve the problem. A month or so later the squeaky sounds magically vanished, but not for long. Months of dust gathering by the cassette unit later we called the Philips service centre who immediately sent home a uniformed technician with a huge bag of tools. After opening the bag much like a doctor from the Victorian times visiting a home to attend to a delivery, the uniformed man deftly located a pair of pincers, some cotton and demanded any kind of spirit available in the house. Aftershave being the only available spirit was promptly handed over which was used to douse the small cotton wad. Soon he was wrist deep into the cassette player deck, twisting and prodding, teasing out what looked like dust and grime from when Knopfler had sailed to Philadelphia. Half an hour of such sound dusting and 200 bucks richer the technician left, a bright, resuscitated cassette player in our midst. manifested himself, eyes meditatively closed, leaning slightly forward, fingers taut, lips pursed around the reed with Giant Steps. After that it was pure bliss...A Spiral. 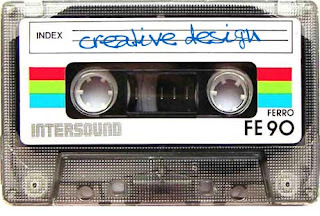 For more magnetic tape memories go here. The spring cleaning bug made a mighty bite into the family sans the sister earlier this week. The Great Indian Exchange Mela is on at that temple of new age middle class consumerism- Big Bazaar (henceforth BB). Their clarion call to convert even garbage into money drives most bargain hunting (minus the haggling) households into a frenzy of hunting down everything worth dumping except maybe that family heirloom which the mother-in-law passed onto her son in the hope that it bypasses the daughter-in-law and will without much other familial cartography be bestowed on his only girl at her marriage in the near future, unless there is a crafty mistress who has attacks of attention deficit disorder prompting the son to appease her with that very dusty heirloom. Ah well, possible Star One, ZEE TV, (insert your preferred marathon family saga television series network here) scripts apart a lot of families do indeed spend quality (excuse the dust and rising tempers on what is dump-worthy or not moments) time together cleaning out attics, investigating suitcases filled with what looked like gifts from the parents wedding, tearing apart cardboard boxes hoarding dinner ware from a different era, shedding a tear over a prematurely retired Snow Job (I had a fascinating collection of GI Joe play figures, most of which was later given away to a younger relative, with much grief despite having achieved a mature facade with a french beard and a job in the financial services sector) after his leg got disengaged in combat between a door caught in the wind. The official story for the minor lachrymal precipitation is however the dust and grime which had a strange knack of attacking the eyes whenever I was in the vicinity of the boxes/suitcases. If you too have forgotten they are what they call age related diseases including Alzheimer's and dementia. Having arrived at BB post dealing with all the above, the actual process of the exchange starts. A common occurrence at all these events is the snaking queue. Add the sneaky, hoity-toity, God! This is gonna take a while glances, the others behind you give you after they notice the semi-truck load of stuff you plan to exchange for some slips of paper and you begin to wonder if it was worth the trouble to drive all the way from Cambridge Layout to the BB on Old Madras Road. To tell you the truth it wasn't but I had to humour the family! Besides the kitchen was bereft of baked/fried/powdered/salted snacks, cheese and such life saviours. Aperitifs sadly didn't make the list. Then the weighing began. While the process was on I took a quick scan of the surrounding hills of stacked newspapers, bottles, rusted cans, chairs minus the backrest, bald tyres, a broken commode! A slight satisfactory smile creased my lips- our slightly more than Bantamweight waste did not include broken WCs! Now at this point I would like to explain to all readers who are not aware of the conditions that apply to the BB exchange- after having allocated coupons depending on the value per kilo and total kilos handed over at the exchange counter, shoppers-to derive maximum benefit of the coupons must purchase four times the value of the aforementioned coupons worth of goods at BB over a specific period of time. This effectively translates to a flat 25% off on your total purchases, but on the bright side you can purchase more items which you will not need in a year's time which can be converted into coupons again that can get you more stuff. Kishore Biyani and team have a neat racket running round here. Coupons handed over, the next leg of the adventure was about to begin. Being some what veterans at this game we braced ourselves for the amount that had to be purchased for the maximum benefits- suffice to say Bantamweight translates to 51kg - 54kg! After a hurried recco of items I might require I retire to the ground floor where my aforementioned necessities are stacked. I quietly fill the trolleys with the requirements and inform the famliy that I shall be waiting near billing counter number 14. Three hours of laborious struggle over four floors, groceries piled into three trolleys, clothes and shoes/sandals for the rest, 10,000 odd points gathered on mobile Jumble game while waiting for the family to return after their peregrinations, a cheese croissant and soya stuffed puff thrown in to revitalise the dying cells, dirty glances from a couple with 2 cans of diet coke and a couple of cups of flavoured curd behind us in the queue, purchases billed later we take five to take stock of how much more shopping to be done the next time. Again, suffice to say there is more, much much more in the pipeline in aiding increased stock valuations of the Future Group. PS: While trawling old photo folders I came across this, something which will be more than just an image or a memory. The only trophy on display in the drawing room, gold plated, the value which was announced that night when we won it escapes me now, but something in the range slightly more than a quarter G. Ah, for nights like those again. Below: V and me circa Feb 2006. 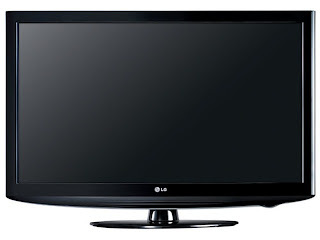 Its an LG 26" LCD. Visually speaking Life's indeed Good. Wannabe hippie, non resident Bangalorean on weekends. Music, movies, literature,travel and writing are a mainstay of existence.